The presentation of the 2018 Romanian OSPAs took place on Friday 16th November at the JW Marriott Bucharest Grand Hotel and we are delighted to announce the winners. OSPA winners were selected by a panel of leading industry figures, using the same criteria which is applied across the world. Each winner demonstrated that they had performed at an exceptional level and has shown their commitment and outstanding performance within the security sector. It is humbling to see the enthusiasm and commitment to outstanding performance by so many security companies and professionals. Those that have been awarded with an OSPA have demonstrated that they are truly the best. It was unexpected. Fantastic, and so beautiful to be working in this area of security . I am hoping this will inspire more women next year. How great to have won. I am surprised. I had a big hope but I know the other finalists are very good. We will promote this in internally and I have been told my company will promote this. I have lots of message already including from our COO, that is already! I consider that this trophy is awarded to technology, and I think this is the future of the security industry. We are very happy to win OSPA and we appreciate this award as a measure of our skills in security engineering. The project that won implied a multidisciplinary approach, including risk assessment, mechanical security, electronic security, data communication, power supply, integrated management, and is bringing large benefits to the client. Once more, the OSPAs jury has proven a good understanding of the security market, a careful and responsible assessment of the applications and OSPA’s Gala could be considered the security event of the year. It was an important moment for both WindOne team and for private security industry. For our team, this award boosts the motivation to continue pursuing our mission and it confirms that our software solutions are the needed support for our partners to become the industry benchmarks. For the private security industry, awarding this trophy to a company that develops integrated software solutions means a paradigm shift. It is a clear sign that the industry is ready to move to the next level and carefully consider enhancing the companies’ resource management, efficiency and professionalism. We believe the OSPA really awarded the innovation, evolution and performance. We would like to thank Hikvision for their headline sponsorship, Global Technical Services for sponsoring the Lifetime Achievement category and Edith Cowan University for sponsoring the certificates and trophies. 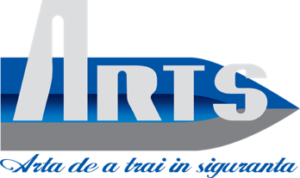 Thanks also go to PSS, ARIS, ASIS International Romania and ARTS for their continued support, and to the OSPAs Judges for their time and commitment in reviewing and scoring the entries. 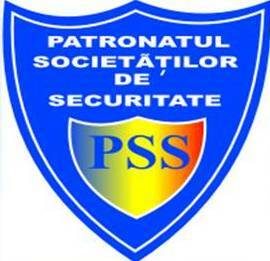 A special thank you to our Romanian Partner FSS.